I was reading my (few, very few) blog posts I’ve written this year and thought it’d be great to touch base on my goals for 2015. Check out the original post here. +DON’T run a marathon. UPDATE: I’m not! 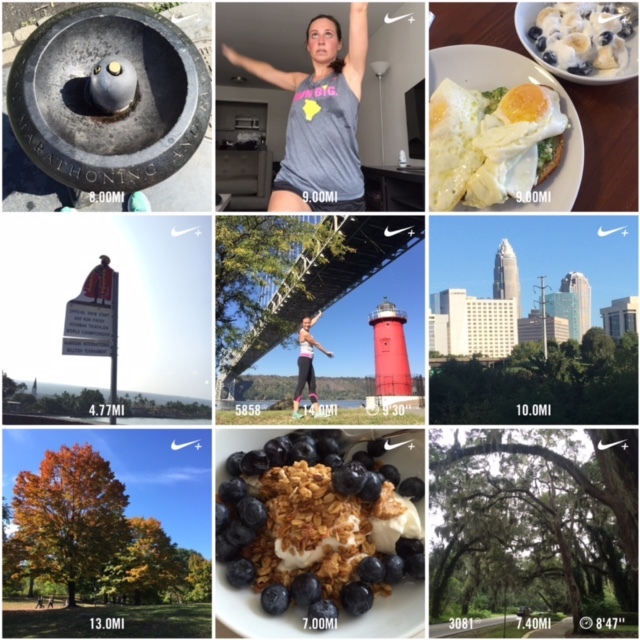 I made it through last week’s Chicago Marathon without being too jealous of all the runners. I WILL run that marathon again. Now I have to make it through the next couple weeks with NYC Marathon all around! I love it SO much and love feeling the energy of the city, even if I’m not running. I’ve got my Marathon weekend all set up- Saturday morning I run MY half then come back to the city and cheer all day Sunday. I CANNOT WAIT!! +REST my body from long runs. UPDATE: Below is photo summary of most my long runs prepping for Philly. I did 10 miles a couple times, 11, 12, 13, and one 14 miler. Nothing more and feeling great about it! I did get to do my favorite long run to the Little Red Light House, but I didn’t get to run to the Rockaways. There’s always next year! +DON’T run the Brooklyn Half. UPDATE: I didn’t. Easy peasy and I didn’t really miss it either. +RUN 9 NYRR races + 1 volunteer opportunity UPDATE: Done, done, and done. I volunteered at the NYC Half Expo handing out race bibs, which was really tons of fun! 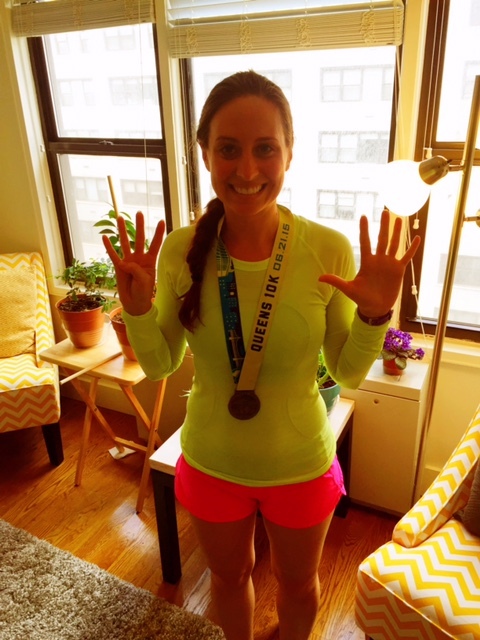 I completed my 9 races with the Queens 10K on June 21st- and did so with a 10K PR of 53:54!! +STRETCH. UPDATE: I haven’t been doing much yoga. My stretching has come from moves recommended by my Coach. These are some of my favorite dynamic stretches. +STRENGTHEN. UPDATE: Along with strength workouts created by my coach, I’ve really fallen in love with pilates. My favorite class is the Tower class and I my entire body feels stronger the moment class is over. The core strength I have gained has greatly improved my running, and the leg strength has kept me from getting injured. Hallelujah! +Another goal of 2015 is to write on my blog once a week. UPDATE: Womp. Womp. Miserably failing. I guess 6 out of 7 ain’t so bad 🙂 Stay tuned for my RnR Philly recap in a couple weeks, and GOOD LUCK to all the NYC Marathon runners out there. It was the best day of my life. Let it be the best day of yours too. HAVE FUN!